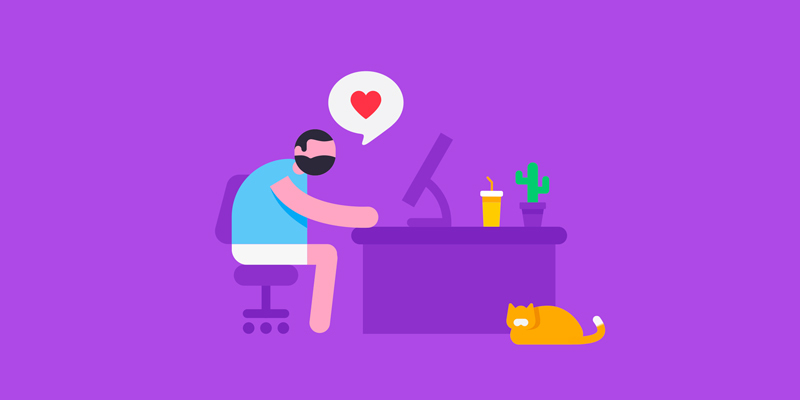 What’s the secret to a job you love? Your first instinct might be to say: a fat salary, a position of power, or perks like a treadmill desk and all-you-can-eat blue M&Ms. But according to a recent poll we conducted, that’s not the case—at all. We sent a survey to 10,000 of our customers in 136 countries around the world to learn what really matters to people in the workplace, and the results were fascinating. First a bit of background information about our research: 83 percent of the participants identified as managers with teammates reporting directly to them, and 28 percent were of the “C-suite” executive level. 61 percent were men and 38 percent were women. The participants spanned over 60 industries, ranging from accounting to biotech to fire safety. There’s that old George Carlin quote, “Oh, you hate your job? Why didn’t you say so? There’s a support group for that. It’s called everybody and they meet at the bar.” It’s practically a cultural norm at this point to assume that most people are miserable at work. Our interpretation of the value “honesty” is that people want to work under leaders that build a culture of transparency, which in addition to making people happy, gets the best results. We are honored that not only does monday.com make people more productive, but it actually makes them happier. It motivates us to continue creating the best product we can that solves real challenges in your day-to-day life. Manage your workload, communicate with your team, and celebrate success.